Cycling at Bushmans Kloof Wilderness Reserve. Find the distances of various nature reserves near Cape Town for your South African self-drive holiday. Come experience the scenic splendour and amazing wildlife of South Africa's Nature Reserves. 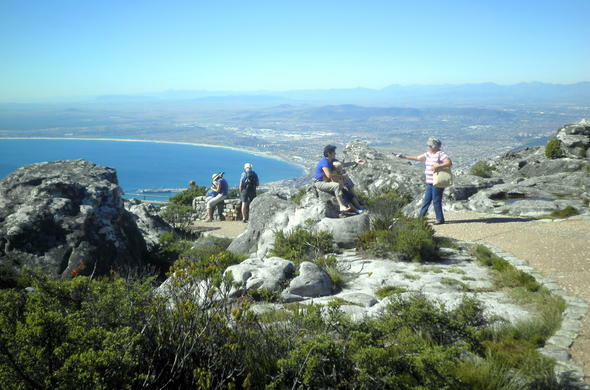 Table Mountain National Park is on one of the worlds most recognised attractions encompassing unique valleys, beaches and the legendary Cape of Good Hope. Now one of the Seven Wonders of the World, Table Mountain National Park offers scenic splendour with a historical and cultural background making it a recreational asset as it draws millions of visitors each year. 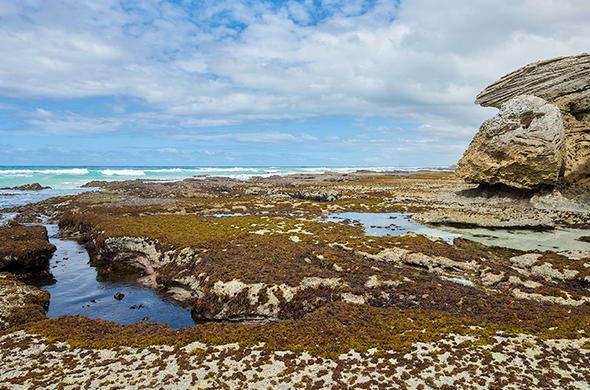 De Hoop Nature Reserve is situated along the Garden Route and covers 36 000 hectares including 3 nautical miles of marine protected area. This World Heritage site is home to endemic plant species from the Cape Floral Kingdom as well as over 86 mammal and 260 bird species. Grootbos Nature Reserve is a nature lovers haven surrounded by forest clad hills, indigenous fynbos and overlooks Walker Bay. 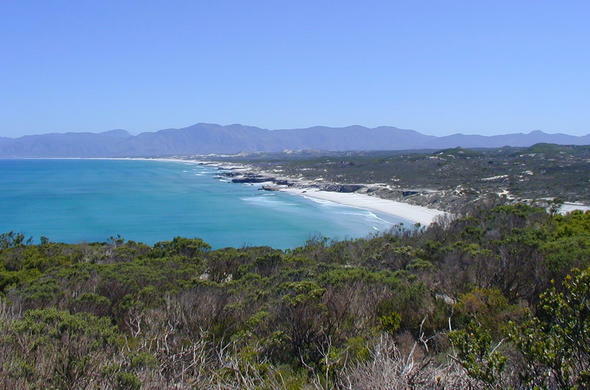 This relaxing and beautiful place is a world renown Whale watching spot and is a leading example of sustainable Eco-tourism along the famous Garden Route. 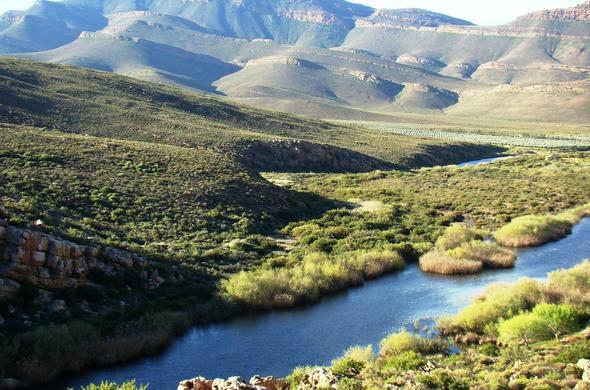 Bushmans Kloof Wilderness Reserve is situated between the scenic Cederberg Mountains and the Great Karoo plains in a malaria-free game area. 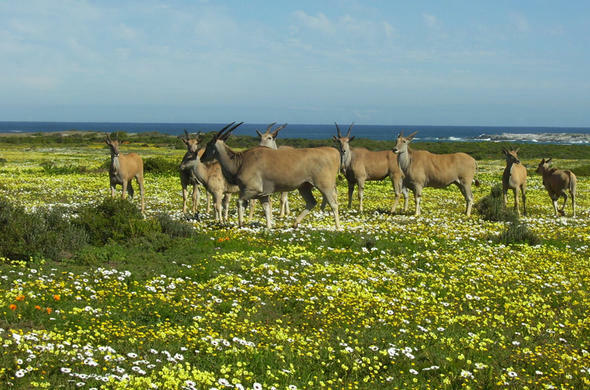 This Western Cape Nature Reserve is host to a vast array of wildlife and animal special species as well as a wide range of flora and fauna. 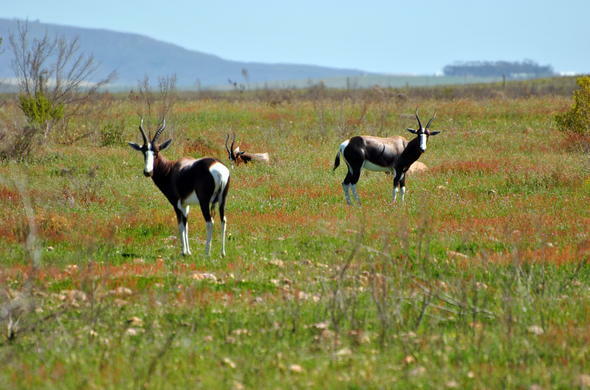 Bontebok National Park was initially established at the foot of the Langeberg Mountains to protect the Bontebok from extinction. The area has the highest density of rare and endangered bird life, fynbos species and animal life even though it is South Africa's smallest national park. 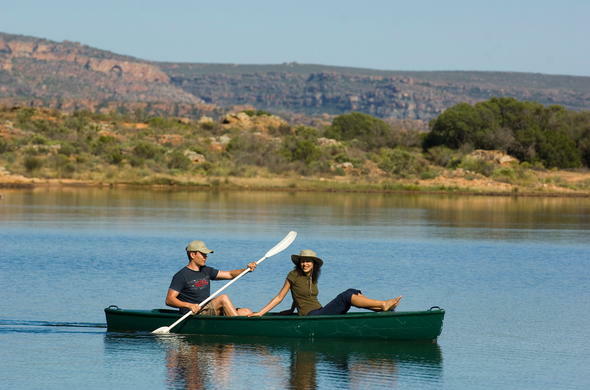 The region plays host to plant life found nowhere else on earth and access to the Breede River allows visitors to enjoy unforgettable swimming, angling and canoeing activities. 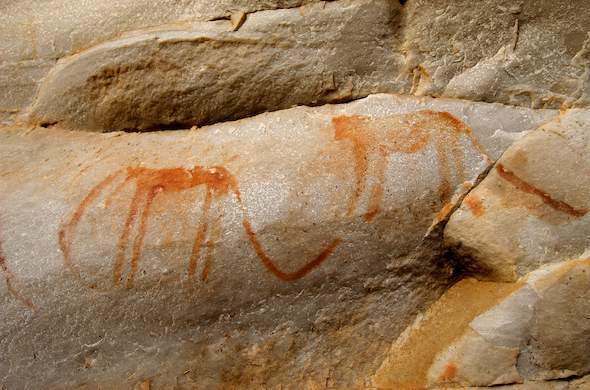 Kagga Kamma Reserve is a historical area situated in the peaceful Southern Cederberg Mountains. Previously home to early Bushmen settlements, this fascinating region boasts scenic rock formations, Bushman paintings, majestic mountains and a sense of spirituality and tranquility unlike any other. 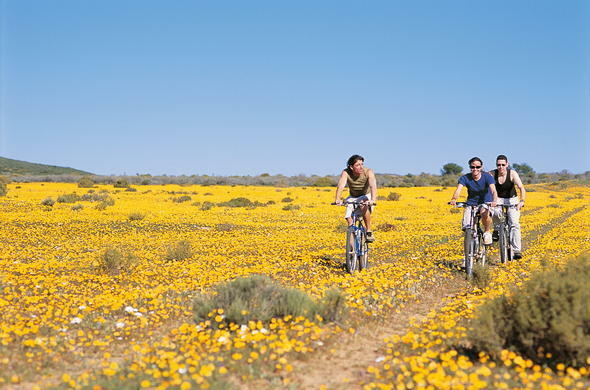 Cederberg Conservancy was proclaimed one of the eight World Heritage sites within the Cape Floristic region. The area is famous for its amazing rock formations and inspiring landscapes which are home to indigenous Fynbos, Karoo plants, endemic freshwater fish and the increasingly rare Clanwilliam Cedar Tree. West Coast National Park offers pristine wetlands and landscapes where outdoor enthusiasts can enjoy exceptional bird life, white beaches, spring flowers and a vast array of wildlife. Surrounded by the Langebaan Lagoon, this internationally important wetlands allows travelers the opportunity to experience the beauty that South African nature reserves' offer.